A trip to Inchcolm Island on the Forth Belle was a return journey we’d been meaning to take for a while, and with our Historic Scotland Membership we added a landing on Inchcolm Island to explore and enjoy the views.We chose to travel by car to South Queensferry, but if you’re in residence at Craigwell Cottage, it’s easy to take one of the Edinburgh Tours from Waverley Bridge, a short walk from the cottage. The Forth Belle departs from Hawes Pier, and you can take a sail on the Forth for views to Fife, Edinburgh and the 3 Forth Bridges, or opt to pay a small additional fee to Historic Scotland to land on Inchcolm Island to explore the historic Inchcolm Abbey, wartime fortifications and to see wildlife on and around the island. As we sailed out from Hawes Pier under the Forth Bridge, the on-board commentary described the different islands and views we could see as well as the historic and industrial heritage of the area. 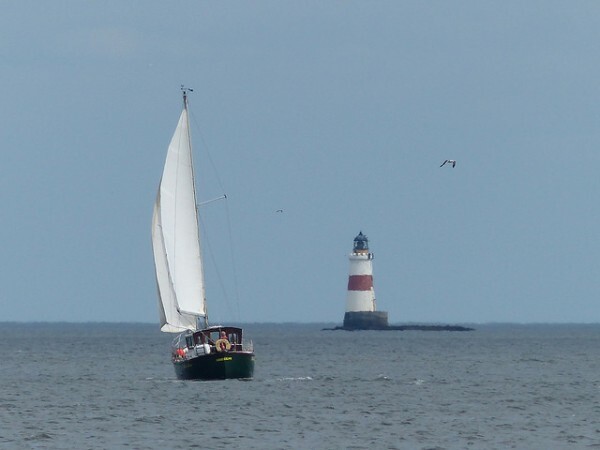 I particularly liked the view towards Oxcars Lighthouse, with a smart-looking yacht sailing by. 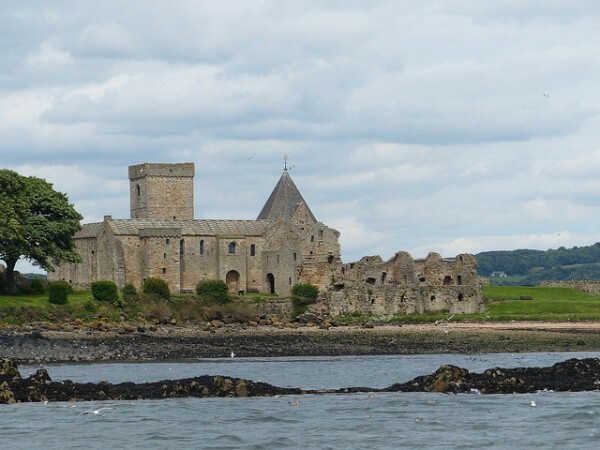 Nearing the Island, the skipper slowed down to allow us to see seals lazing on the rocks in front of Inchcolm Abbey, and to have the photo opportunity to take a view of the Abbey from the river. The Maid of the Forth had set off from Hawes Pier earlier in the day, with a wedding party on board. 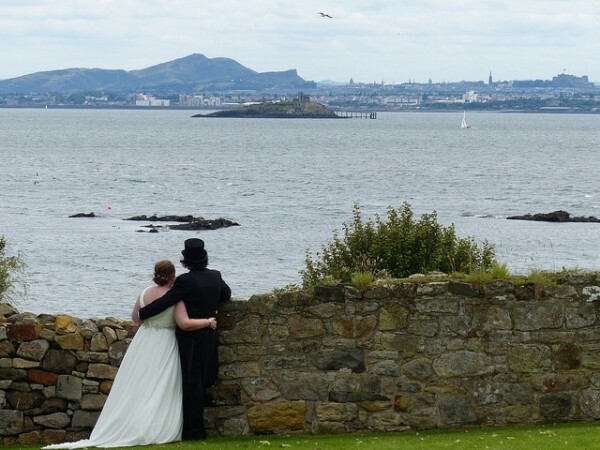 The wedding ceremony had taken place in the Abbey and as we sat enjoying our picnic in the Abbey grounds, the Bride and Groom were enjoying views towards Inchmickery and the City of Edinburgh. 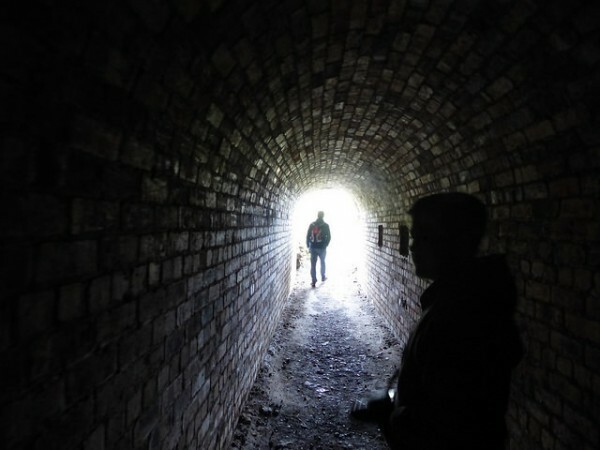 Having enjoyed our picnic, and explored the Abbey and grounds, we headed off to the east side of the island to explore the military workings via a tunnel through the rock. The gulls were circling overhead as we explored, but as the nesting season was over they were flying high and allowing the human visitors room to explore. Our visit was in early August, although we’ve found that visiting during the nesting season earlier in the year can mean that the gulls are not as happy to have explorers near nesting sites and can dive close to you to warn you off. Our trip out to the island had been on a cruise which was full to capacity, so we opted to stay on the island until the last boat back at 5:15 pm, giving ourselves 3 hours on the island. This allowed for more thorough exploring and a visit to the Historic Scotland gift shop for some provisions to supplement the picnic. 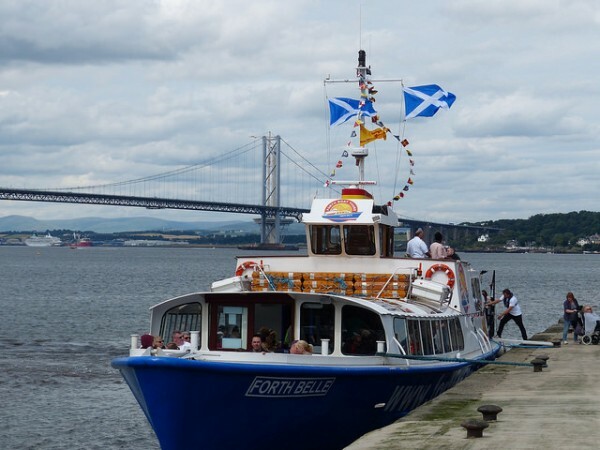 On the return leg of the tour, the Forth Belle takes you under all three bridges – the Forth Bridge (rail bridge), the Forth Road Bridge and the new Queensferry Crossing which was still under construction. Now completed and opened to traffic Autumn 2017 by HM the Queen. 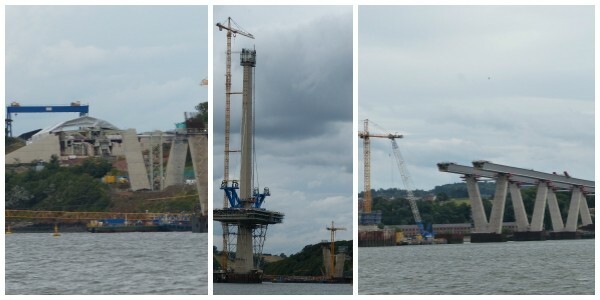 We were able to see views towards the north and south ends of the Queensferry Crossing as well as hear more about the Beamer Rock which forms the foundation of the central tower for the crossing. 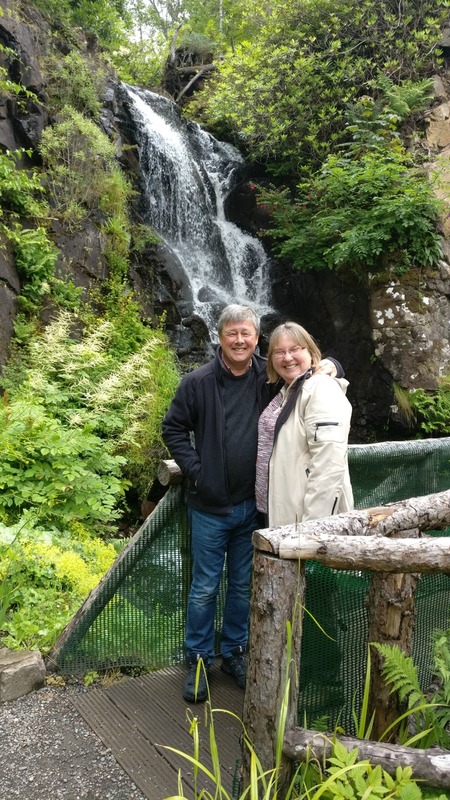 Having set off on our cruise at 1 pm, by the time we were nearing South Queensferry again at 6 pm (having opted to stay for 3 hours on Inchcolm), we were beginning to think about options for dinner. 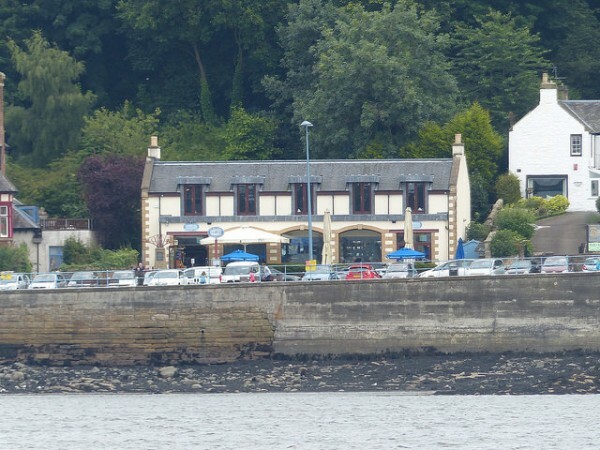 We were delighted to find that one of our favourite options – the Rail Bridge Bistro – was open for evening meals. It was a great end to our Forth Bridges and Inchcolm visit.